Compare electricity and gas prices here to see how much you can save. Though the cost of the battery pack is far more than the fuel, it pays to check the prices. We need to define the units of comparison first. On this site we use the kWh (kilowatt) as the standard energy unit. Electricity is sold by the power utilities in kWh. Gasoline can be expressed as kWh. One gallon of gas is about 36 kWh. 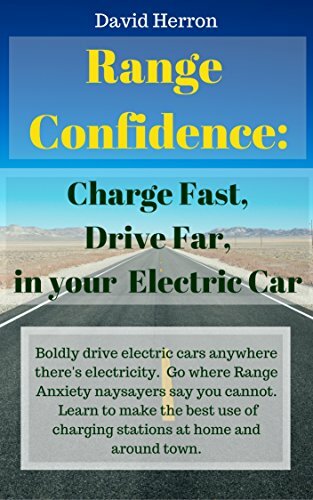 See the EV Basics page for more. The prices for electricity and gas vary a lot in the world. The average price of electricity in the United States is around $0.12, that is 12 cents per kWh. Lets use $4.00 per gallon as the price of gas in the USA. There are two ways to compare prices. First is to look at the value of the electricity in a gallon of gas. A gallon of gas holds 36kWh. At $4.00 per gallon and 36kWh, the value of the electric power is 400/36 or $0.11 per kwH. Second is to look at the actual average price of electricity times the number of kWh in a gallon of gas. 36kWh times $0.12 per kWh gives $4.32 per gallon worth of electricity. Using the spreadsheet below, you can change the price per gallon of gas and the price per kWh. This way, depending on where you live you can get a more accurate way to compare electricity and gas prices. That's nice, but here is what you are forgetting. 400 / 4.32Kwh = $0.93 per Kwh. My electric scooter has a 3.6Kwh battery, with 2.9Kwh usable (72v 50Ah, only use 40Ah) and I can travel around 80km. So with 36Kwh I can travel 993Km!! I don't know ANY scooter, not even a 50cc than can get nearly 1000km on 1 gallon! Plus my 8000w electric scooter is a lot faster than a 50cc scooter. I keep pace with 200cc scooters around town.